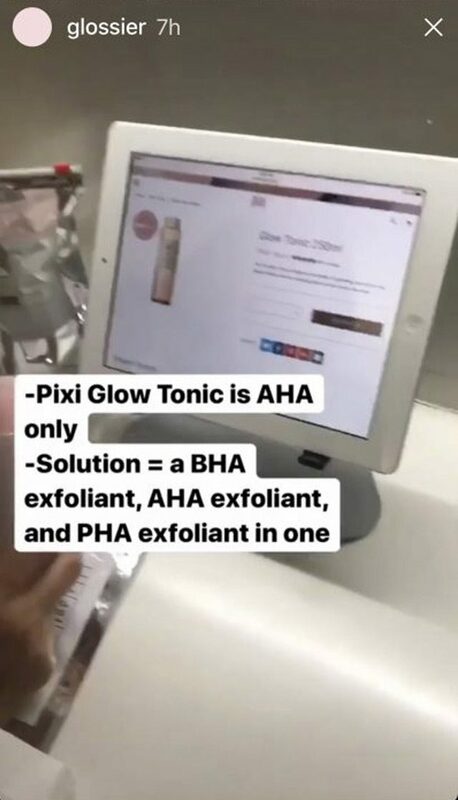 One review of the brand's new exfoliator may be rubbing some people the wrong way. 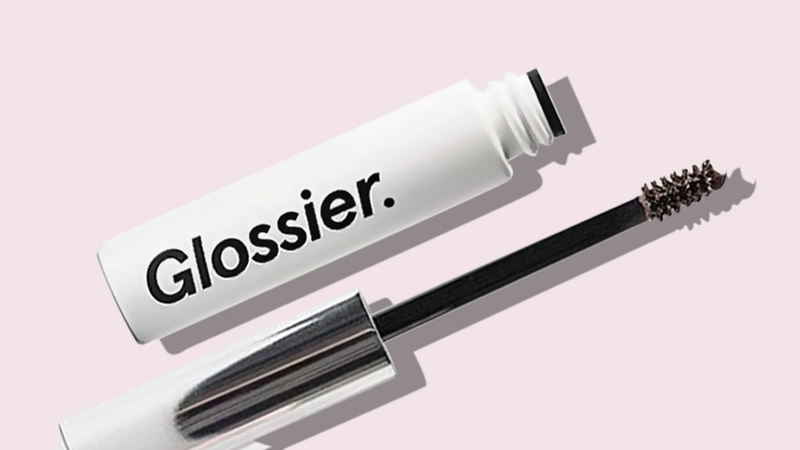 Unless you’ve been living under a rock, then you would know of millennial cult-fave beauty brand Glossier. 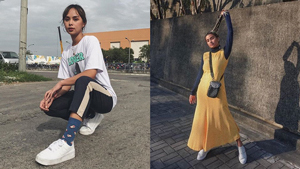 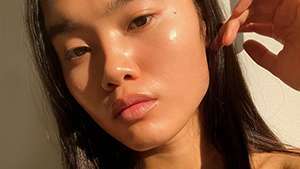 And if you’re a fan, you're already aware of their freshest drop, Solution—a three-acid chemical exfoliator that promises to clear the skin’s texture, and supposedly even acne. 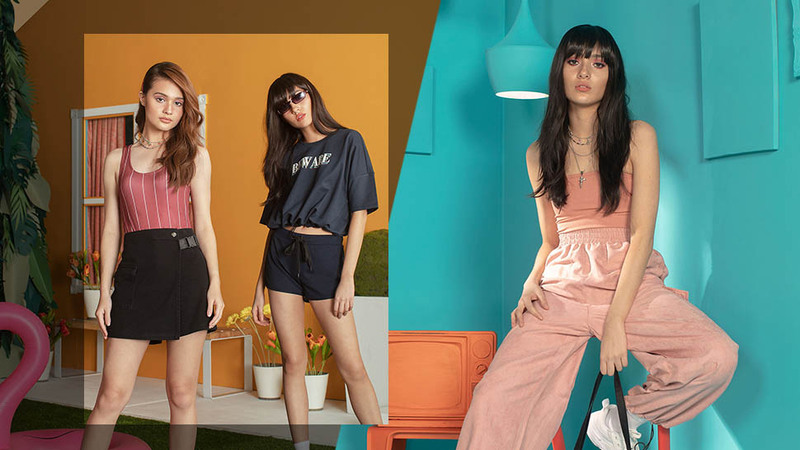 As expected with the widely popular brand, there’s a lot of hype surrounding it especially since it’s one, cute; two, can be used as a daily toner; and three, some of their skincare products are actually great. 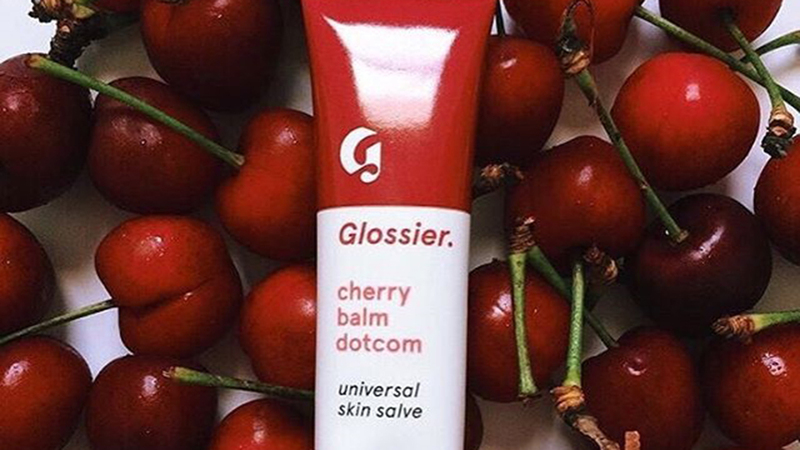 Last week, Glossier went on Instagram stories to promote their toner with Jordana Mattioli, a New York-based aesthetician they've often worked with in the past. 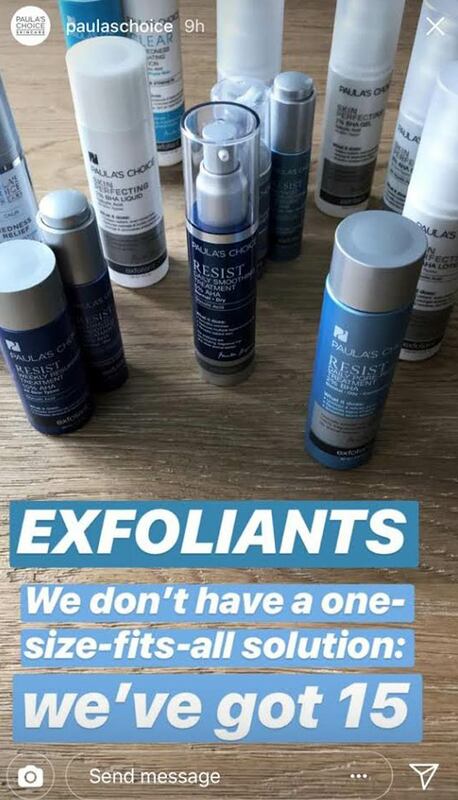 Their Instastories thread featured side-by-side comparisons of other chemical exfoliators. 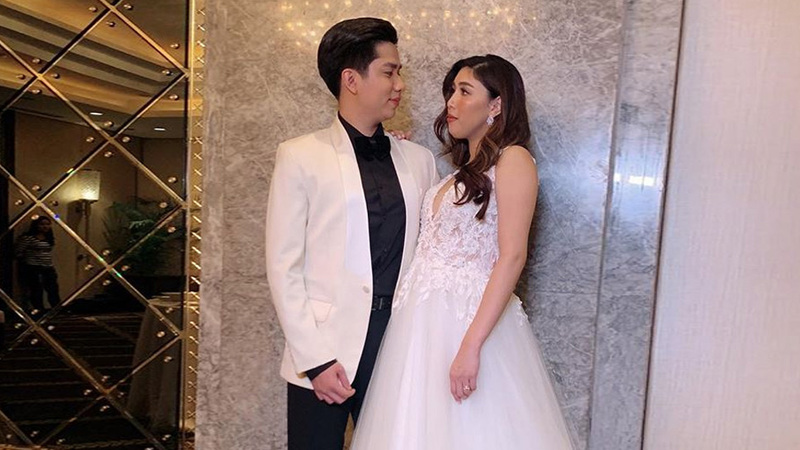 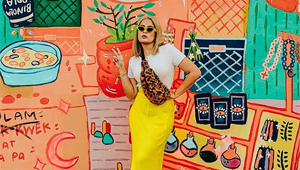 Caroline Hirons, blogger and beauty expert (also dubbed as "skincare queen"), reacted to the posts with a blog entry entitled Oh Glossier, where she pointed out how she felt about the reviews. 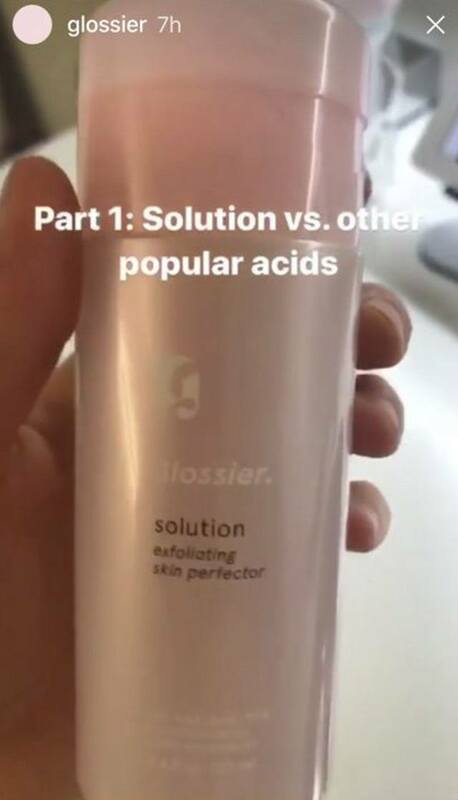 She said in her blog that while side-by-side comparisons are usually okay, this one done by Glossier was not cool. 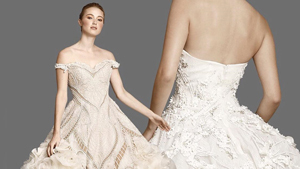 She wrote, “You know those occasions where you see something so cringeworthy that you cover your eyes because you can’t actually quite believe you’re seeing it? 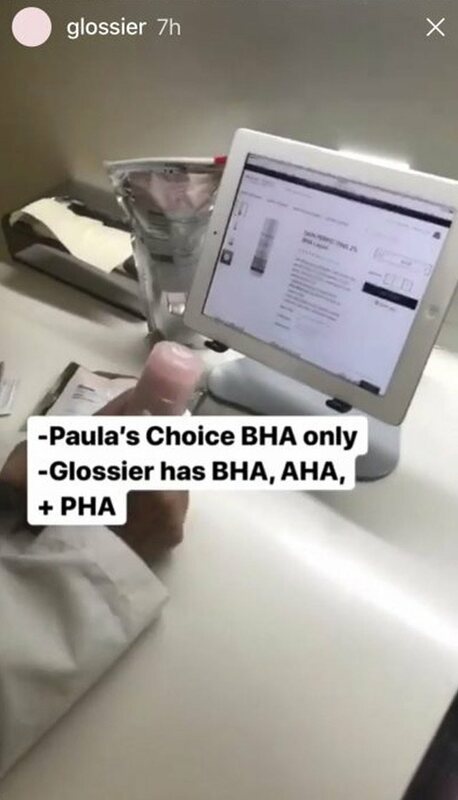 I debated about whether even talking about this, but then felt that the brands being discussed deserved to be defended, and are too classy to do so publicly,” referring to Biologique Recherche, Pixi, and Paula’s Choice. 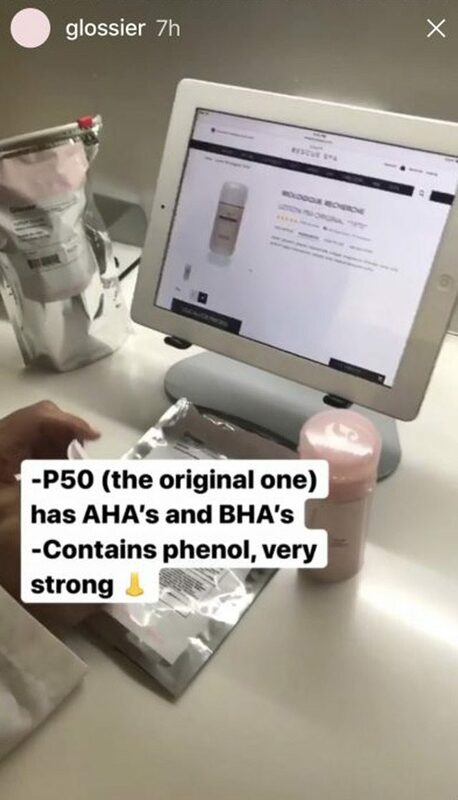 Insight from Mattioli was not clearly emphasized in the Instastories, although she gave her own comprehensive review of acids.